Rolawn's 'How to create a beautiful lawn' video will show you everything you need to know about how to lay turf, from planning and preparation, through to the finished lawn and aftercare. Step by step instructions are also detailed below. Rolawn turf can be laid all year round, however frosty conditions should be avoided and laying turf in extended periods of hot and dry weather will require additional care and attention. Rolawn turf should be laid out immediately in spring/summer and within 24 hours in autumn/winter, therefore it's important to ensure the ground is prepared ready for when the turf arrives. Only a few tools are needed to lay turf: a wheelbarrow, a rake, a long knife, a spade or fork, some scaffolding planks, a garden hose and sprinkler and a turf cutter or weed killer if applicable. Your new turf will grow best when your soil is prepared in such a way as to encourage deep, rapid rooting. Rolawn turf needs just four things (in the proper proportions) to grow: sunlight, air, water and nutrients. Grass plants obtain three of these essential factors from the soil: air, water and nutrients. You must prepare your soil, the quality of the soil and its preparation will greatly affect the quality of the lawn. The correct depth of soil with the correct structure will ensure that the grass roots penetrate evenly and deeply. This will make the lawn more drought resistant, more efficient in its water and nutrient use, and will lead to a denser sward of grass plants which helps to crowd out weeds and gives a more visually appealing lawn. Poor soil and poor preparation will cause turf to deteriorate over time. To calculate how much turf is required, measure the length and width of the area to be turfed, multiply one by the other to give you the amount of rolls required. Measuring in metres is easiest as each standard roll of Rolawn turf covers 1m². Then add 5% for shaping etc. To calculate how much topsoil is required, measure the length, width and depth of the area to be covered, multiply these together to give you the volume required. You can use our Product Calculator to help you work out how much turf and topsoil you require. Using a proprietary non selective weed killer recommended for killing grasses, treat the existing lawn at the stated application rate. 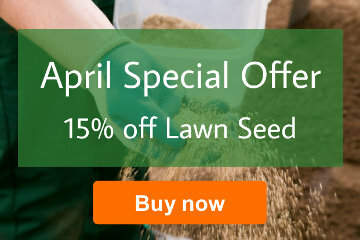 This will help prevent weeds and weed grasses from your old lawn coming up through your new turf. For full effectiveness you may have to leave this for approximately 14 days. You need a minimum of 100mm, ideally 150mm of good soil (the deeper the better). The soil should be loosely turned over and free from surface stone, clods, other debris and perennial weeds. Rolawn Turf & Lawn Seeding Topsoil is a free flowing friable topsoil formulated for use in conjunction with Rolawn turf to ensure early establishment. It helps to provide a level surface and firm foundation required for laying turf or applying lawn seed and is easy to spread, even when moist. It is also blended with Rolawn GroRight® Lawn Establishment Fertiliser to help ensure a lawn gets off to the best possible start. Alternatively Rolawn Soil Improver can be used to dig into the existing soil to add nutrients and to improve structure which will help with drainage and water retention. Digging over or rotovating the soil before laying turf is essential. Once the soil has been loosened it should then be lightly compacted. The best way to do this is to walk over the whole area and then again at right angles to the first direction. Then rake the surface to a fine tilth and make sure that the surface is level. This may take some time, but it is worth it, as if the surface is uneven it will result in your lawn being uneven, which will have an adverse impact on the appearance of the lawn. Ideally you should water the soil a couple of days before your Rolawn turf arrives. Not only will this provide water for the roots of the turf, it can also cause the prepared soil to settle which can then be raked level again just before the turf arrives. 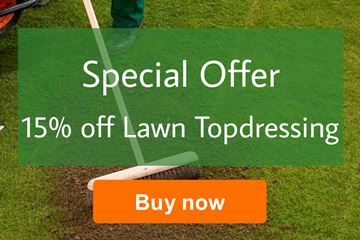 If Rolawn Turf & Lawn Seeding Topsoil has not been used, rake an application of Rolawn GroRight® Lawn Establishment Fertiliser into the top 25mm of soil to ensure your new Rolawn turf is fed properly during its establishment. Start laying the turves, preferably along a straight edge, butting closely end to end. On subsequent rows stagger the joints brickwork fashion. Planks should be placed on newly laid turves for walking along and working from. Lightly firm down the turves with the head of a rake or piece of wood to ensure good contact between the turves and the soil. Always push turf into a joint; never stretch the turves by pulling them. Any remaining cracks can be filled with a light soil (Rolawn Turf & Lawn Seeding Topsoil is ideal) and tamped down. The turf can be simply cut using a long knife, hand saw or cutting spade around edges and features. Always water newly-laid turf immediately and for several days after laying until the turf is firmly rooted. On hot days, you may need to commence watering large lawns prior to laying all the turf. Ensure that the new lawn is never short of water and that the water has percolated through to the underlying soil. Lift the corners of the turf to check the soil below. Water repeatedly until the turf is well established. If rainfall is experienced you still need to check that the lawn is receiving sufficient water. First thing in the morning or late in the evening are ideal times to water your new turf so that less water is lost to evaporation. Once established, occasional watering during dry periods should be adequate. Don’t delay. Mowing encourages establishment, however most people wait too long before mowing. Turf will accept light traffic almost immediately, although it is recommended that you keep off it other than for mowing for the first few weeks. Never remove more than one third of the grass blade length. For the first few cuts remove just the top quarter of the grass blade. Over the next few cuts gradually lower the mowing height down to the desired level. For Medallion® Turf we recommend approximately 25mm. Alternate the direction in which you mow your lawn. The appearance of your Rolawn lawn will be affected by the environment it is living in and the treatment it is receiving. A healthy lawn requires a balance of air, food, water and light. An appropriate lawn maintenance programme helps to keep these elements in balance. 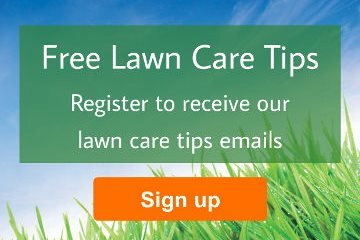 For a comprehensive guide please see the Lawn Care pages in the Information Centre section.